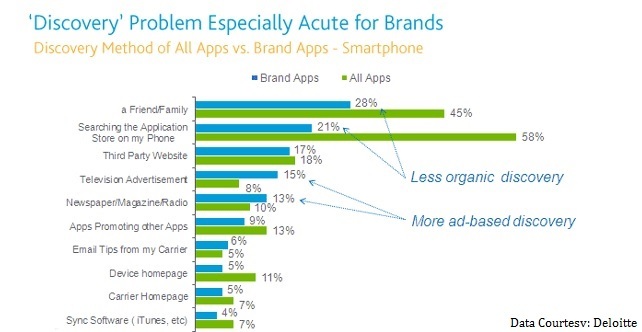 Advertising Mobile Apps on TV: Does it Make Sense? Gone are the days when making an amazing App was your road to glory. As every market matures, more and more players start coming in, with the same goal in mind – conquering the market. A decade back, if you launched a well functioning useful App, it on its own would grab the user’s attention and made itself and you successful. It is a different world now. Today if you launch such an App and leave it there on the app store, in all probability, it will die a silent death in solitude. Today, you need to sell your App to people. You need to be there when somebody searches for you and before that, you have to make them search for you. App Store Optimization, keyword planning, social media marketing are few of the tricks of the trade that every single serious App maker is trying out. More often than not, they work well but there is a limitation to the reach of every tool or medium. A little time spent in front of the Television can make you aware of the latest trend in App Marketing – TV Ads. The world leaders like Candy Crush Saga started with buying its own air time on Bravo. Clash of Clans saw the light of TV ads in late 2013 and Big Fish Casino in early 2014. 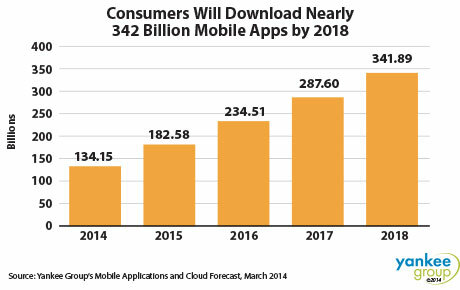 In India, which is currently a huge market for mobile apps, quite a few players have joined the trend. It started with messaging apps like WeChat and Line foraying into traditional advertising mediums. OLX and Quickr, famous apps for classified ads aggressively pitched their apps on the same lines as they started pitching their websites to the people in early 2012. OLX, which has a talked out and witty ad campaign – Sell Phone, also has some figures to boast about. In March 2014, OLX.in crossed a billion page views, of which 70 per cent came from the mobile medium. Moreover, 60 per cent of the listings on OLX come through this medium. The numbers also explain the rivalry and aggressiveness that the shopping giants, Snapdeal, Flipkart and Amazon are showing in promoting their apps on all mediums possible. A TV ad may ignite a spark of curiosity, a buzz around a certain app but it still lacks the direct and convenient CTA. In my opinion, designing an SMS campaign in tandem with the TV Ads can result in better activations. On the other hand, TV isn’t cheap. In fact, it never was. On an average, it costs anywhere from $2 to $2.5 to acquire one iOS user and $0.75 to $1 per Android user for an App through the medium. Even when a giant in the market like Candy Crush Saga employs TV ads and is successful in converting the desired number of users, it still needs them to go for in-app purchases to make the strategy profitable. Marketing has changed with the advent of technology. Today, every strategy implied has a metric to measure and costs to justify. In my personal opinion, if your app has a mass appeal and caters to one and all, in that case only you should go to conventional media for promotions. For limited budget or niche apps, the tactics remain the same and fruitful.